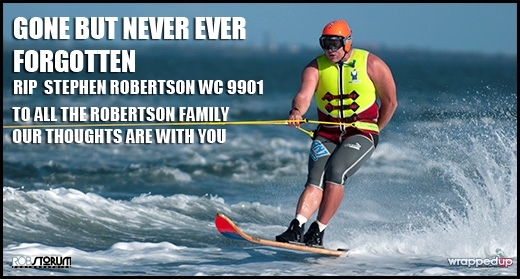 Today the world of water ski racing has been shocked by the death of former two time World Water Ski Racing Champion Stephen Robertson of Australia. For me the news is just sinking in of the loss of such a tremendous sportsman, a great guy and a wonderful family man. 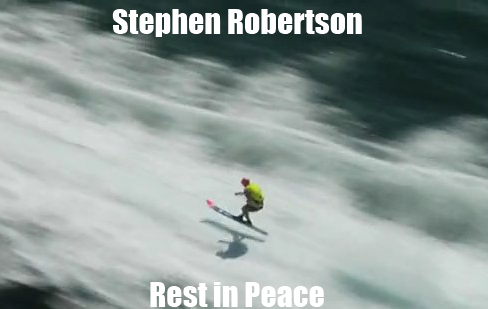 Many thousands of people all over the world will be saddened by this news and thinking of Stephen, and his family who will be devastated by this event. 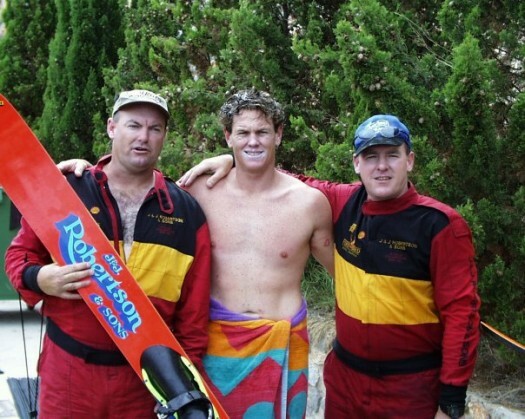 Stephen was training on the Hawkesbury River, ahead of the 50th Bridge to Bridge Water Ski Race, with current World Champion Chris Stout. 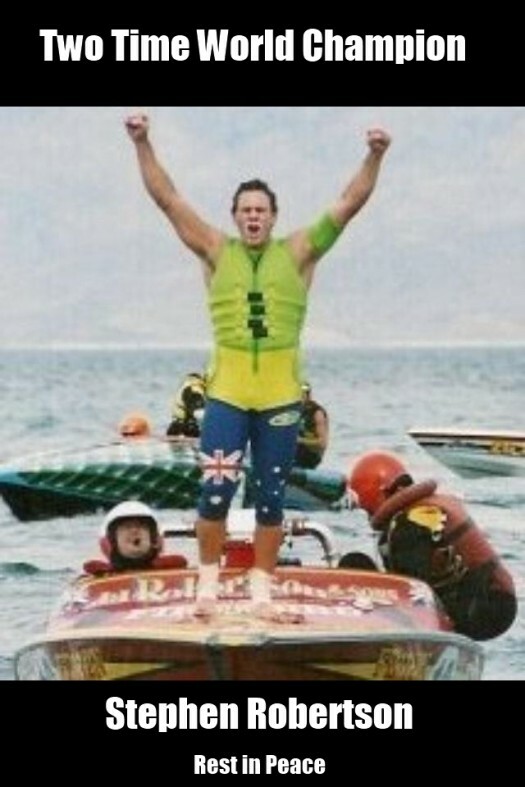 Stephen became the World Water Ski Racing Champion in Spain 1999 and then again in the USA 2001. 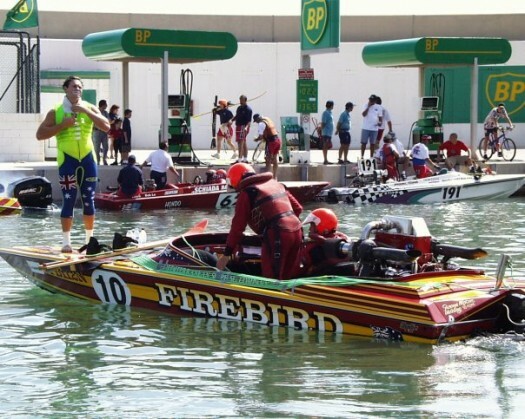 His brother Paul was World Champion in 1991 and brothers Barry & Johnny crewed for both Stephen and Paul in the infamous Firebird race boats. Stephen achieved a great deal more than those world titles and gave back a lot to the sport. 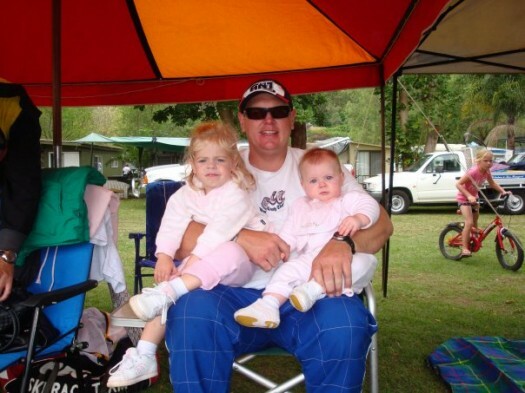 He is from one of the most well respected and talented water ski racing families in the world – The Robertsons. A Personal Message: Stephen you were a great friend for 20 years. I will always remember the hospitality you and your family extended to me when I first came to Australia in 1991. I will remember my visits to your family’s home in Five Dock and your time at my parents’s home in Wales. I will remember our great times on and off the water in the many countries that we met. Thank you for your friendship Stephen. I am honoured to have known you as a friend before, during and after your years at the very top of our sport. My thoughts are with your lovely family.